This area gets superb powder snow thanks to the heavy snowfall that the stark landscape of the Tanigawa Mountains produces. A wide variety of courses for everyone from beginners to world-class experts makes for an extremely rewarding and truly unique skiing experience! 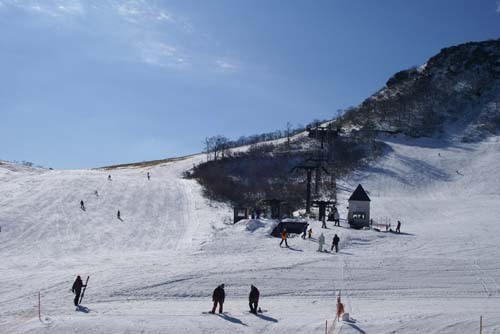 Get on buses from Jomokogen Station and get off at the closest bus stop about 50 minutes away.